Leverage marketing and communications mastery that changes consumer awareness, attitudes and ultimately, behavior. For more than 25 years, Stephen McCauley has been changing the way America eats. As a leader in two of the world's largest and most distinguished public relations firms, he offers diversified experience in consumer marketing, corporate publicity, issues management, food, nutrition and promotions. He is now leveraging this extensive experience to create a new independent firm—The Ginger Network—dedicated to providing seasoned communications counsel on food & nutrition brand and marketing issues for companies, associations and commodity groups. 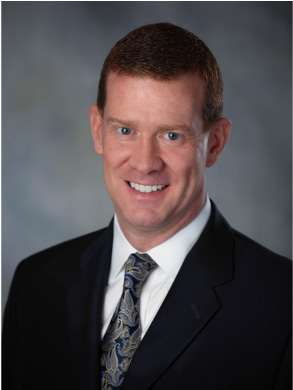 Prior to founding The Ginger Network, McCauley was part of the leadership team at Porter Novelli for 17 years where he served as a Partner in the firm. For the majority of his tenure, he served as Director of the agency’s Washington-DC- based Food, Beverage & Nutrition Practice. He also served as interim managing director of the entire Washington, DC, office in 2013. In addition to contributing counsel to all Porter Novelli U.S.-based food clients, he personally has directed the agency’s largest and most visible accounts. This ranges from branded work for Bel Brands USA, makers of The Laughing Cow® and Babybel® and Boursin® cheeses, Welch's, Campbell Soup, Perdue Farms and the agency’s Procter & Gamble portfolio of food business (Jif, Folgers, Olean, Fit, etc...) He also served as the global account leader for the Almond Board of California managing Porter Novelli teams in the United States, Canada, Mexico, England, France and Germany, as well as other significant commodities such as the National Cattlemen's Beef Association and the Fresh Produce Association of the Americas. In addition, he has led the agency's government contract for the United States Department of Agriculture. Stephen is most recognized for leading Porter Novelli's signature thought-leadership annual meeting called Food 3000. This annual event, which is hosted in a different country each year, is designed specifically for food and nutrition communicators, providing a forum to examine emerging trends, policies, and research that impact food and nutrition issues globally. In the food crisis arena, he has counseled clients on a vast array of issues including those related to food safety; e.g. food borne illnesses and contamination, pesticides and additives; nutrition; product recalls; workplace safety; animal rights; union organization; environmental concerns; farmer legislation and government regulations. Stephen is a graduate of Boston University and holds degrees in communications and biology.